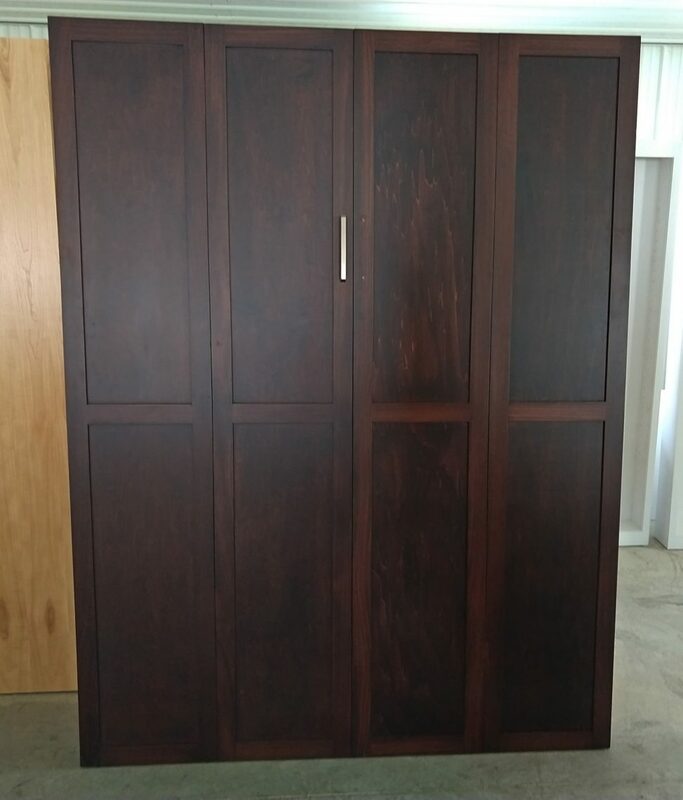 Our cabinet maker is ready to send this Murphy panel bed out for installation in your home right away. Start spring home organization with this lovely new bed so you are ready for a KY Derby guest! This one of a kind maple queen panel bed has interior dimmable LED lights. The bed cabinet is 20” deep and the foot print of bed when open is approximately 92”. The cabinet features shaker style trim on the panel door and select from a wide variety of hardware styles for cabinet handles. Get it today at a special low price of $2399 installed within our local service area. If you like, add our best mattress (11” Charleston innerspring mattress) for an additional $499. Or use your own queen size mattress up to 12 inches thick. Price is subject to KY state sales tax of 6%. Please call us at 859-325-9875 with questions and claim this spring special for your home. The Bed That Gives You Space to Live!